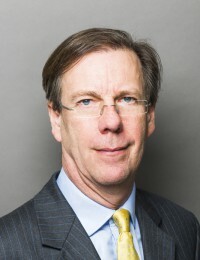 John is ranked as a ‘leading silk’ in the Commercial and Chancery Commercial categories in Chambers Global 2018, in Chancery Commercial, Civil Fraud, Commercial Dispute Resolution and Professional Negligence in Chambers & Partners UK 2018, and in Commercial Litigation, Company, Civil Fraud and Professional Negligence in The Legal 500 UK 2017. The Legal 500 notes that “he is very clear in his advice and doesn’t sit on the fence; clients have great confidence in him”. He is also recognised for his “razor-sharp mind, which cuts straight to the key issues”. John has an extremely broad and varied commercial litigation practice. Most of his cases are heard in the High Court although he also does international arbitration work and regularly appears in offshore jurisdictions (including BVI, Grand Cayman, Turks and Caicos, Singapore, Hong Kong and many European countries). In the last five years, he has spent an increasing amount of time on complex fraud claims, many of which involve company law issues. Many of John’s commercial cases involve claims for breach of trust and breach of fiduciary duty. John also undertakes professional negligence and indemnity work for both claimants and defendants. He has acted for and against a wide range of professionals, including solicitors, barristers, surveyors, financial advisers, accountants and actuaries. John immerses himself in all aspects of his cases. He easily assumes the role of a leader prepared to back his own judgment, but is also a collaborative team player. John is an extremely good advocate, adept at modifying his tone and approach to the tribunal and at sensing how a Judge is seeing the case. He consistently impresses with thorough preparation and focussed and effective cross-examination. He is rock solid on the law, reliable on paperwork and is described by solicitors as a joy to work with. What most impresses is his unwavering commitment to his cases, and to his clients. He has all the qualities you would want in a QC.